1. Mould material: high quality steel with good heat treatment,wear resistance,corrosion resistance,such as SKD11,S136, SKD61,H13etc. 2. Specialize in micro mold and high-precision plastic injection mould for industrial product,electronic products, medical products, petrochemical, auto, and aerospace etc..
3. Various plastic raw materials: PA,PBT,PPS,PPO,PEI,PEEK,PES,TPU,PLA,LCP,PP,PE,PC,ABS,PVC,POM,antistatic plastic, etc. 4. Advanced equipments: EDM, CNC, milling machine, precision grinder, driller, wire cutting machine, full automatic injection machine, projector, ultrasonic welder. 5. 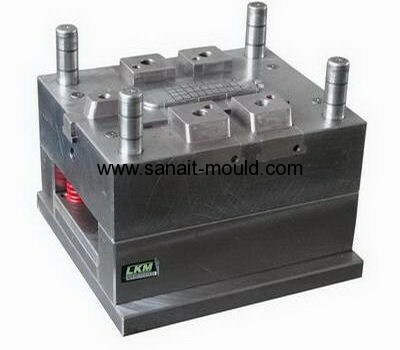 10-years-experience professional mould engineers, with software: UG, Proe, AutoCAD etc.for products and mould design. 6. Our top principle is let quality as the first consideration with sincere service, prompt delivery, low price. Our products mainly are exported to Europe, America, Asia etc.